Is It Possible to Lower Your Home Loan Interest Rate? If you are in the middle of paying off your home via a mortgage, you are probably finding that the payments can quickly eat into your monthly finances. The home loan interest rate payments on your home loan, in particular, are variable and can cost you thousands of dollars more than you need to be paying over the course of time. You may have taken out a mortgage with a less-than-ideal home loan interest rate simply because you needed to purchase a home right away, or maybe you didn’t qualify at the time for better rates. You may have resigned yourself to dealing with these frustrating high payments, but there are ways to lower your home loan interest rate. The most common way to lower your home loan interest rate is to refinance your home. Refinancing is the process of paying off your first loan with a second mortgage, which has a much better interest rate. Refinancing is an ideal option if interest rates are much lower now than they were when you originally took out your mortgage, or if you didn’t have the greatest rate to begin with, but your credit score has improved now, enabling you to get something better. If you decide to refinance your home, it is very important to work with an experienced mortgage broker to make sure that you are getting the best possible deal. After all, there’s no point in refinancing if you end up with a new loan that is just as troublesome as the old one. If you have cash to spare, there are actually a few other ways that you can lower your mortgage rate quickly. The first is to make extra payments on your mortgage whenever you can. What this will do is lower the total remaining balance on your mortgage, which means that the interest left on it will be lower as well. The quicker you can pay off your mortgage, the less you will pay in interest. This can save you thousands of dollars over time. You can also choose to refinance to a loan with a shorter term, which may mean that your payments look higher on paper, but you will likely pay much less in interest in the long run. Dealing with high interest rates when paying off your mortgage can be costly – thankfully your lender may be able to help you out. If you are truly struggling to pay your mortgage every month, and it is affecting your ability to live comfortably by eating into your money available for food and general living expenses, that’s when you need to have your mortgage broker talk to your lender. Your lender may be able to lower your rate, and will likely be willing to do so in these circumstances. If you think you are paying too much for your loan, get in touch with Seajay Mortgage Brokers today – we would be more than happy to help you find an option that suits your needs. Investing in real estate is a great choice for anyone looking to grow their financial assets over time. You have many potential money-making opportunities, whether you decide to improve the home and sell it, rent it out or use it as a holiday home. Real estate will always add value to your portfolio, but you need to make sure you approach your investment wisely. It can help to work with a mortgage broker, who can help you find a loan with the best interest rates and features for your situation. Here are four pieces of investment property advice to get you started with your property search. One of the most detrimental things you can do when looking for your first investment property is to rush into a purchase. Once you have made the decision to buy a property, you will probably be excited, and it can be tempting to purchase the first property that appeals to you. However, it is important that you give yourself the time to weigh up the pros and cons of any big decision before you make it. Read up on the investment process from experts who really know what they are doing, and then consult with a professional mortgage broker who can help you with the purchase process. It is important to do your research and take your time when investing – avoid jumping in too early to avoid making costly mistakes. Interest rates on investment properties are usually higher than they are on other types of properties, so you will want to compare all of your options to make sure you are getting the best deal. Remember that interest rates will affect you and your finances for years to come, so they are an extremely important factor to consider. While comparison rates are a great way to compare apples with apples, there are a number of other factors that should be taken into account before you choose a loan. This is where it is important to consult with a mortgage broker, because they can help you find low rates quickly. Don’t forget that you will need to put down a substantial deposit on your investment property when you purchase it. You’ll want to make sure that you can really afford it with money left to spare – after all, there will be plenty of operating costs on your investment property. Give yourself some time to really budget for that deposit. Fixer-uppers can be very high-stress, especially for a first-time investor, so they may not be the best choice for you. However, most people can’t afford to invest in a home with a huge price tag either. Give yourself a budget, and look for a great house that you can afford that needs only minor renovations. Think you’re ready to take the plunge and invest in property? Get in touch with us to talk about your mortgage options, including pre-approvals and refinancing. 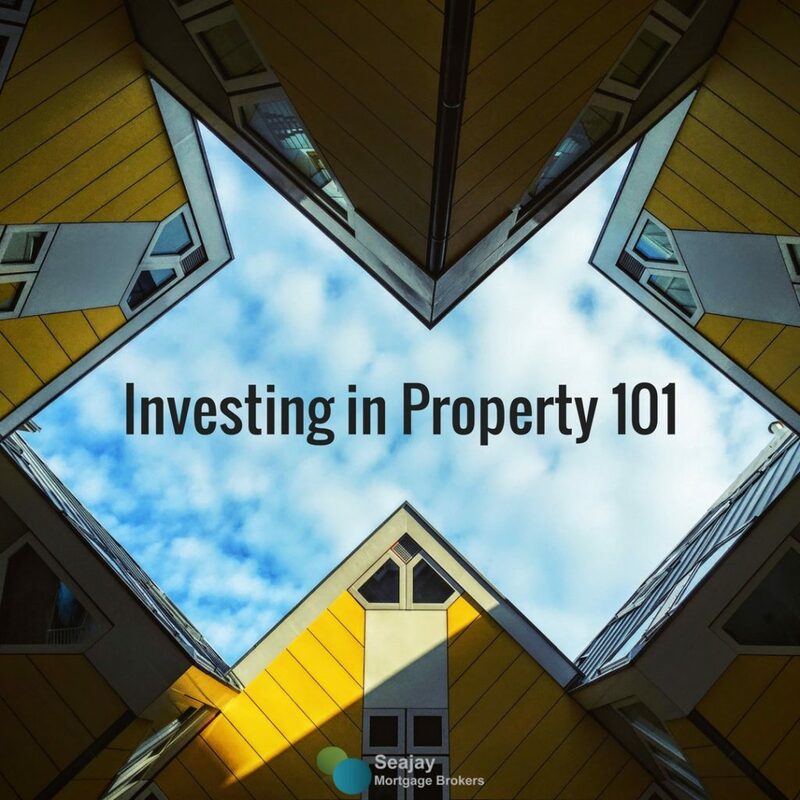 If you are investing in property for the first time, you may find yourself overwhelmed by the many new terms and concepts that you will be working with. Real estate investment is a great way for anyone to make a solid passive, supplemental income. Don’t be intimidated by the process – with some good, in-depth research and help from professionals, you will be able to get started investing in property. Here is a basic guide to some of the terms and concepts that you will be exposed to in your first real estate deal, and what they mean for you. This is the total amount of income that a property is expected to make from all operations. This generally includes an allowance for vacancies and collection losses. This term is used to refer to rental properties, and is sometimes abbreviated as EGI. This is the process of buying an extremely low-value property, investing time and money into rehabilitating it, and then selling it for a huge profit. Although you have likely seen many shows on TV about investors who make their careers flipping houses, it may not be the most practical use of your time for a beginning investor. 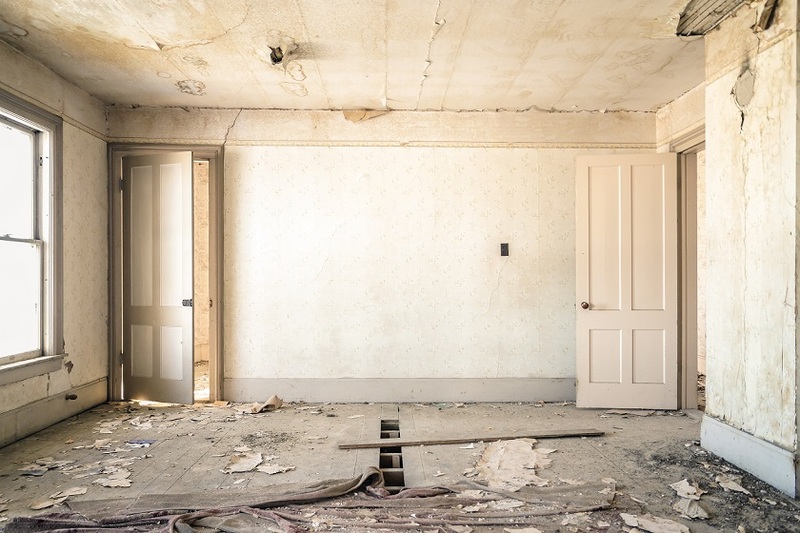 Buying property below market value and renovating it for profit can seem like a good idea, but it may not be the best idea if you are new to investing in property. This is the ratio of your total property expenses to your EGI. It is usually expressed in a percentage, and can be used to determine if a property’s expenses are worth the investment. Properties with a lower expense ratio are more desirable. This is the expected rental price that the property would receive right now if it were on the market. This figure is determined by current rents on comparable properties in your area during the time of evaluation. This is the loss in property value over time. This number can be projective, (ie. the expected depreciation) or in terms of the actual depreciation of the property. This term refers to the length of ownership of an investment. These related terms refer to the overall amount of profit you will make from your investment. ROI stands for return on investment, and it is a broad term referring the overall amount of profit. The capitalisation rate is more specific, and it is determined by calculating your gross annual income from the investment, divided by the cost of the property. This is expressed as a percentage to see how much a property will generate. This term is used to refer to your monthly income from the property, minus the total expenses the property incurs every month. This is how much money you will make from the property every month. Think you’re ready to get started investing in property? Talk to Seajay Mortgage Brokers about applying for a loan. When you apply for a loan to buy your new home, you want to make sure you are getting the best rates possible. 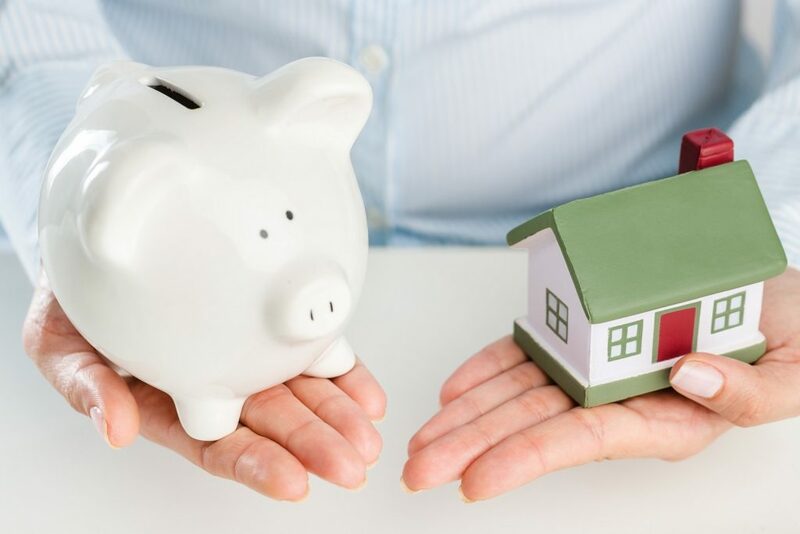 After all, even a small percentage difference between two home loans can save you thousands of dollars over the course of your mortgage, which can last for up to thirty years. Although you can definitely find good home loans on your own, a talented mortgage broker can make finding the best home loan rates significantly easier. Their extensive experience working in the industry can save you money, time, and stress during the complex home purchase process. Mortgage brokers are trained in the ins and outs of home loans. The biggest reason that you should use a mortgage broker to help you find a loan with home loan rates that suit your budget is that they have a wealth of knowledge in the industry. Mortgage brokers in Australia are required to complete a certificate in financial services and many, like myself, have extensive experience within the banks working as lenders so they have a holistic understanding of how the process works. Your broker will be able to evaluate a potential loan, and identify all of the details that make it worthwhile – or not. They can also walk you through the entire process of managing your loan, so you will feel better equipped to work with your lender for years to come. A mortgage broker can address any unique problems that you have. Everyone faces their own unique challenges when applying for a loan. Some have to deal with less-than-perfect credit, while others may struggle to qualify because they are self-employed or work as a freelancer. Instead of struggling to communicate with a lender about these challenges on your own, you can work with a broker, who will be able to advocate for you and who will likely know how to work around the problem and get you better home loan rates. A mortgage broker usually has good industry connections – which can work in your favour! Mortgage brokers have industry connections. No matter where you live or what type of loan you are looking for, your broker will likely have worked with a huge number of lenders in the past, and they know which ones can give you the lowest rate for the type of loan that you need. They can also approach multiple lenders at a time, which will help to speed up the process of applying. Once you have found a lender with a rate that works for you, your broker will help you with the application process to help ensure that the loan goes through. Start the conversation with an experienced mortgage broker today by getting in contact with us! 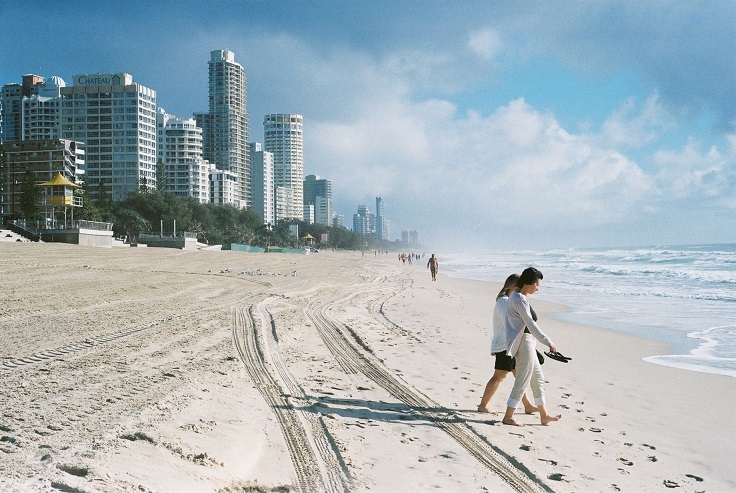 The Gold Coast is one of Australia’s most up-and-coming cities, with a population of over 500,000 people. The area has been growing steadily over the past several years, and is know for its beautiful beaches and waterways. Located south of Brisbane on Australia’s eastern coast, it has long been known as one of Australia’s best tourist destinations. In the past year, the property market in the Gold Coast has experienced a boom. Between 2015 and 2016, many property values on the Gold Coast have shot up between 15 and 25 percent. This is particularly true in waterfront suburban areas, such as Broadbeach, Runaway Bay, and Bilinga. Demand seems to be particularly high for freestanding, single-family suburban homes. raise children right by the waterfront, where there is plenty to do, as well as great schools and a safe community. As property values in Sydney and Melbourne, two of Australia’s biggest metropolitan areas, have boomed over the past several years, Gold Coast becomes a particularly attractive option for both locals and foreigners alike who are looking for that beachy Australian lifestyle. There are a few different factors that have contributed over the years to the current Gold Coast property market trends. First of all, the lack of housing stock available made the existing options much more desirable, especially those in valuable locations such as waterfront suburbs. There has also been an increase in infrastructure development on the Gold Coast over the last several years, which has attracted tourists, and investors along with them. Investors from both Australia and countries overseas, like China and the United States, have seen potential in the Gold Coast, and have started to develop housing options as well as commercial structures in the area. As property values continue to shoot up, now is a great time for buyers to start looking for a home in the area, before prices increase even more. Living on the Gold Coast combines the high energy of living in a large city with the calm, laid-back vibe of living by the ocean. Might be time to take a closer look as part of your investment strategy? Buying a home for the first time is very exciting, but it can also be very overwhelming. There are many different things to consider and big decisions to make. It is important to properly prepare, do your research, and rely on professional advice when you need it. Here are five first home buyer tips to help you get started. Decide what you really need out of your home. You have so many different choices when it comes to deciding what kind of home is best for you. 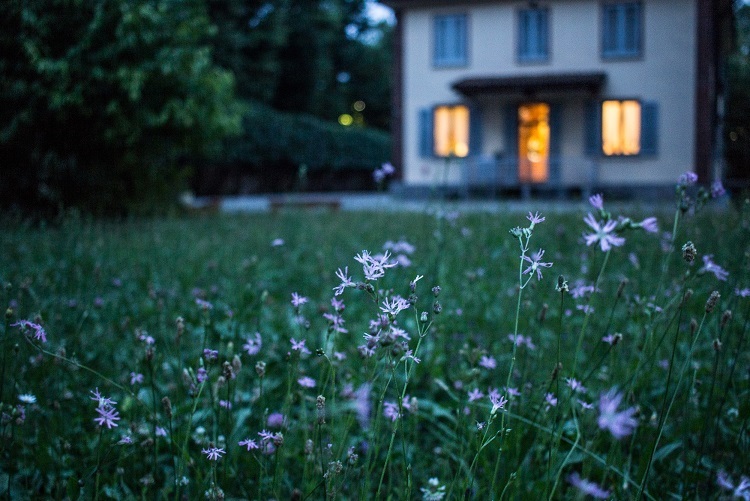 Do you want a larger home out in the suburbs, or are you better suited to a cute urban bungalow? Before you get started, write down a list of what’s really important to you. This could include location, size, amenities, proximity to things like schools or shopping, and more. Make sure to include your family in this conversation if they are purchasing the house with you. Give yourself time to save up before the purchase. Even though you will most likely be taking out a home loan to finance your purchase, you will still have to put down a significantly large down payment. 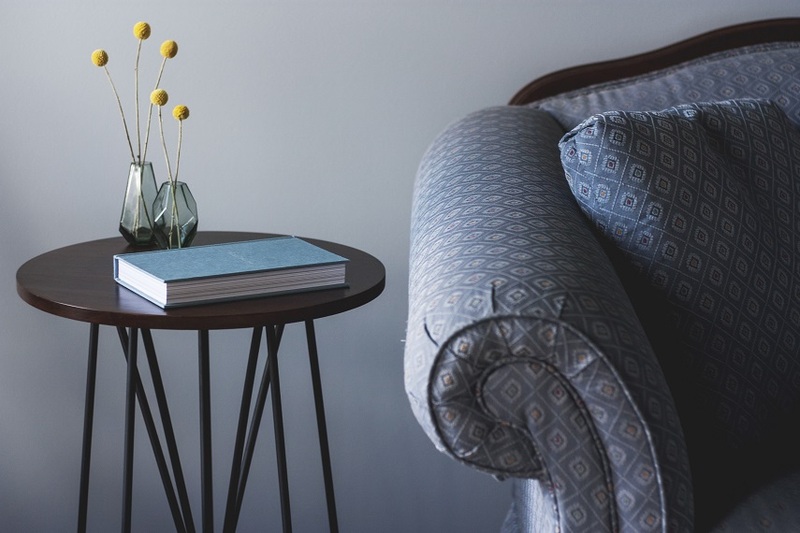 There’s more to it than just making sure you have the money – you’ll want to make sure you still have enough after you make the payment to live comfortably and finance any other home-related expenses, like buying new furniture or fixing up any problems with the house. Be aware of your credit. We all know that credit can affect our ability to take out a home loan, but sometimes we just don’t manage it the way we should. If you are even considering buying a home in the next five to ten years, start to prepare by paying off all of your bills on time and dealing with any large credit problems. If you still are struggling with credit when it comes time to buy a house, talk to your mortgage broker. They can help you find a solution. Buying a home is a huge responsibility, and your mortgage payment can really change the way you approach your finances every month. Avoid future problems by making budgeting a habit, and keeping a close eye on where your money goes every month. You may need to cut out some extraneous spending, but you’ll feel better knowing that your finances are rock-solid. Document your income and your taxes. In most cases, you will need to show proof of your income and your taxes from the past year to buy a home and take out a loan. About a year before you make a purchase, start gathering the records of your income together, so that you have everything all in one place when you need it. 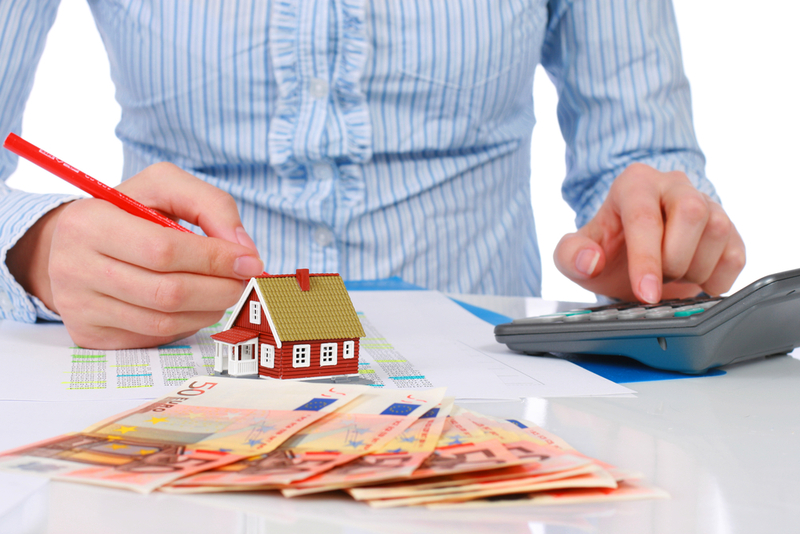 What are home loan comparison rates? A home loan comparison rate allows you to work out the true cost of your home loan by comparing the total cost among other banks. By law, all lenders must include “comparison rates” in their advertisements for home and personal loans to avoid consumers from being misled when it comes to choosing a home loan. A comparison rate takes into account the total yearly cost of a loan, not just the interest payable. This number includes the cost of any fees and places them into one easy to compare rate. This means that you could be looking at two loans; Loan A and Loan B which both have a Standard Rate of 3.74%. It would seem based off of the standard rate that both loans are the same and either choice would be ideal. When you look at the two loans’ Comparison rates, however, Loan A has a comparison rate of 4.07% while loan B’s comparison rate is just 3.74%! Clearly, Loan A has a range of fees tied into it and this is something you should be aware of. Are home loan comparison rates the only thing to take into consideration when choosing a home loan? No. While it can be tempting to get caught up in the numbers and choose the loan with the lowest comparison rate, this could turn out to not work in your favour. 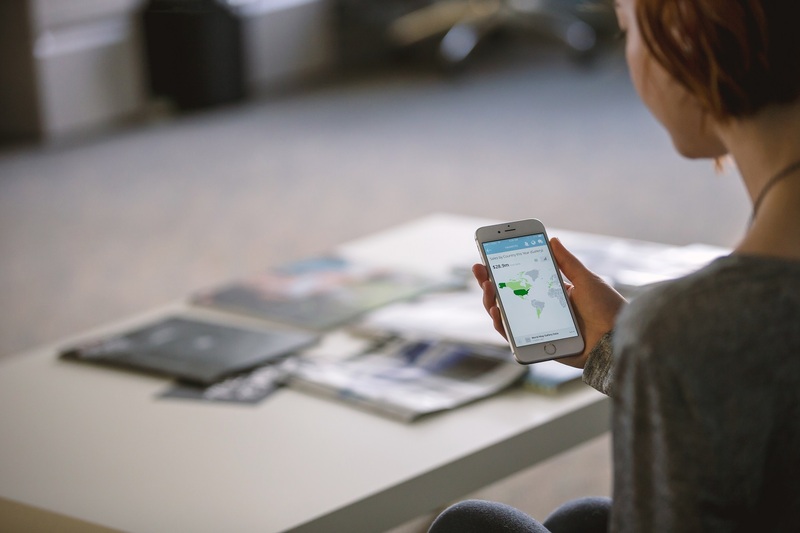 A comparison rate only compares the upfront pricing of a loan. It does not take into account early repayment fees, government charges, as well as the various features a loan could have such as redraws and offset accounts and repayment flexibility. These vary widely among loans and can have a significant impact on the overall cost. The selection of the best home loan for your situation is all part of a larger evaluation process – it’s not just a matter of selecting the loan that looks the best on paper. To truly maximise your savings and work within your needs, it is best to consult with a professional mortgage broker such as Seajay Mortgage Brokers. We can help you select the best loan for you without any additional fees or charges from us. Negative gearing has been a bit of a buzzword in the investment industry recently, especially around the time of the 2016 budget release. Despite this, a number of people are unaware of what negative gearing actually is and what it means for the average home buyer. To own a negatively geared property essential means that the interest you need to pay on the loan exceeds that of the rental income. Effectively you are making a loss. What are the different types of gearing? This occurs when the rental income you are making from a property is greater than the interest you are paying on the loan. This means the rental income and the amount of interest being paid on the loan are equal. So why is everyone so interested in negative gearing? Negative gearing means that you are making a loss, so how on earth can that be a good thing? It all comes down to capital growth. For example, imagine you bought a $380,000 property and took out a loan for $320,000 at 6%. This would mean the annual interest payable on your loan is $19,200. Let’s say for argument’s sake that your property is earning $300 a week in rent totalling $15,600 per year. This means that you are needing to pay off $19,200 a year but you are only earning $15,600 meaning you are making a loss of $3,600. It’s not sounding great so far, however, as time goes on, the value of your property should go up. If your property went up by 10% in the space of a year, its value has now increased by $38,000. By the end of the year, if you have paid the $3,600 interest, but the property has increased in value by $38,000, you have essentially made $34,400! Find out more about how to invest in property and get your home loan approved – talk to Seajay Mortgage Broker today! I have worked a long time in the mortgage industry and some of my experience has been working behind the scene as a credit assessor. As a credit assessor I made the decision who would and who wouldn’t get a loan, and I thought I would pass on some of my knowledge to help others. However doing this for your children does not guarantee they will get a loan. Single male applicant, earning $120,000 for the last 4 years, no savings, parents have offered their house as security for the deposit. Single male applicant, earning $50,000 for the last 3 years, $6,000 saved, parents have offered their house as security for the deposit. Majority of people would think the higher income earner loan would have been approved, as he can more than afford the loan, but it was the lower income earner who was considered the lower risk. Mr $120k has no savings, even though he has earned that income for 4 years. This does not show good character. Mr $50k has saved a small amount and although it is not enough for a deposit on a house, it has shown that he has made an attempt to get there, therefore showing good character. A bank never wants to put a guarantor at risk, therefore in the case of a security guarantor loan, character is extremely important. You also need to know the last thing a bank wants to do is kick a security guarantor out of their home if the borrower forfeits on their mortgage repayments. If you are nearing retirement and only have the property you live in, the bank will probably not allow you to offer your home as security. The banks are more comfortable with investment properties or with guarantors with quite a few years still to go before they retire. Always remember, just because you can, doesn’t mean you should. A good mortgage broker will always put the guarantor first when it comes to setting up a family pledge loan. Some parents may not be able to offer their house for security, but may want to gift their child some funds to help with their deposit. If you have enough funds for a 15% deposit on a house this is fine, but not all parents have 15%, some may only have 5% to gift or less. When there is less than 15% deposit, the bank wants to see 3 months regular savings, so have your children start saving small regular amounts to their account, again this is to show character. There are lenders who will take rental history as a form of genuine savings, different conditions apply for each lender. In all cases borrowers and parents should talk to a qualified mortgage broker to go over pros and cons. Most tenants are reliable, but if you’re a property investor, chances are you’ll encounter at least one bad renter. From failing to pay rent through to causing damage or conducting criminal activity, these tenants can harm your return on investment. It can be stressful when things go wrong, but try to stay calm and professional, get familiar with the relevant legislation and address the problem promptly and proactively. Late rent payments are common, and it’s important to get on top of this issue quickly. You (or your property manager) may wish to call or email the tenant the day after rent was due. If payment is still not received, you’ll need to issue a breach notice after the tenant has been in arrears for the number of days prescribed by the residential tenancy laws in the relevant state or territory. Whether it’s a late rent payment or another concern such as noise complaints, try to resolve the issue by communicating with the tenant either directly or through your property manager. If this doesn’t work, and the tenant has breached the tenancy agreement, you’ll need to issue a breach notice. Evicting tenants is a situation all landlords dread, but unfortunately it’s sometimes necessary. If you’ve issued a breach notice but the breach isn’t fixed in the given time frame, the next step is to issue a notice of termination. However, you can’t just go to the property and kick them out – you’ll need to follow the correct process. Note that the legislation (Residential Tenancies Act or equivalent) varies by state and territory. If you’re not an experienced investor, consider finding a good property manager. Consider landlord insurance. Your mortgage broker can refer you to a specialist to assist with your insurance needs. Also, it’s a good idea to follow a rigorous tenant-application process. Communicate regularly with tenants to stay on top of maintenance issues and resolve potential problems before they arise. Conduct inspections on a regular basis (check local legislation for guidance on how often you can inspect). I was struggling to find a home loan that suited my current situation, until I was referred to Catrina. She found the perfect solution for me and my partner and took all the stress out of buying our first home. Can't recommend her enough! Catrina has great communication skills, explain things well and if there is something you don't know you will find out. Always positive when finding a solution to a problem! Copyright © 2019 Seajay Mortgage Brokers. All Rights Reserved.